Hunter's Tree Service is insured for your protection. Hunter's Tree Service in Puyallup, Washington! Hunter's Tree Service in Puyallup, WA provides professional quality care services for your trees by arborists and tree experts. Tree services provided by Hunter's Tree Service include: Tree Removal, Tree Trimming, Tree Pruning, Stump Grinding and Logging. We provide free estimates for services. Call Hunter's Tree Service in Puyallup, WA to consult with an arborist today! Hunter's offers 24 hour emergency storm response service in Western Washington. 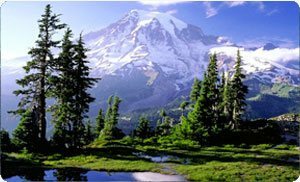 The Pacific Northwest is known for our lush and green urban spaces and dense rural forestry. Trees are an important part of our ecosystem and lives, a commodity cherished in Western Washington communities. Guarantee the trees on your commercial or residential properties have the best care in Western Washington with Hunter's Tree Service. Hunter's Tree Service provides free estimates for services. Hunter's Tree Service is fully insured for your protection. Hunter's Tree Service employs arborists who specialize in the care of individual trees. Hunter's Tree Service employs certified tree climbers who safely and professionally service the trees on your property. You can trust Hunter's Tree Service with the care and maintenance of your trees. Stump Grinding: Stump grinding grinds that old and unwanted stump to the ground. If you are concerned about the health or condition of a tree on your property, consult Hunter's Tree Service. Hunter's Tree Service will offer practical tips that prioritize safety first when dealing with a problem tree. Hunter's Trees Service has a certified arborist for hire. Hunter's Tree Service offers a free estimate for tree services. Hunter's Tree Service has the skills and equipment to get the job done safely and efficiently! We employ ISA certified arborists and certified tree climbers and offer professional tree services throughout Western Washington. Clean up: Hunter's Tree Service understands the importance of cleaning up the debris from tree removal. Hunter's Tree Service does not consider a job complete until the last of the mess is cleaned and removed from your property. You never have to worry about your yard being left a mess when you choose Hunter's Tree Service. Storm Damage: The Western Washington area sees it's fair share of strong storms that cause damage to the trees in our communities. Hunter's Tree Service will provide emergency tree service caused by storm damage to clients in the Puget Sound. Contact Hunter's Tree Service if you have trees that have suffered storm damage. Hunter's Tree Service lovingly cares for trees in the following Puget Sound communities: Pierce County, WA, Puyallup,WA, Lakewood, WA, University Place, WA, DuPont, WA, Fircrest, WA, Ruston, WA, Steilacoom, WA and Tacoma. Call Hunter's Tree Service in Puyallup, WA to consult with an arborist today!